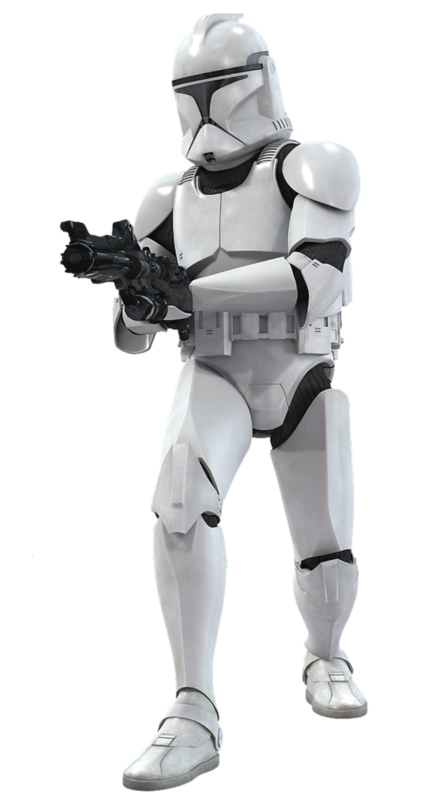 Clone troopers were genetic copies of the renowned warrior Jango Fett that were produced in great numbers to fight the Galactic Republic’s battles. Unfortunately, clone troopers who survived in battle ultimately succumbed to accelerated aging, a side effect of the cloning process. The Jinhao 992, a copy of the renowned Sailor 1911 pen, is produced in great numbers in the People’s Republic of China. Unfortunately, Jinhao 992s that survive daily use ultimately succumb to cracking, a side effect of the production process. 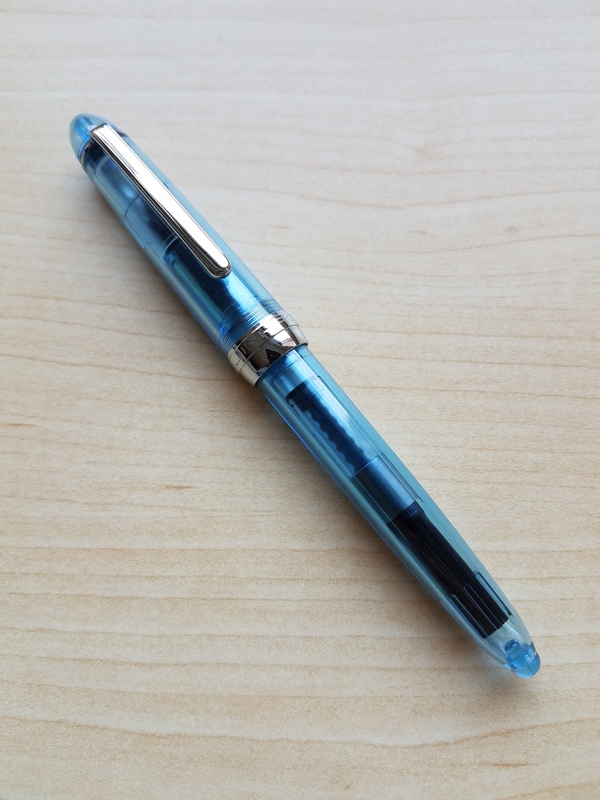 I don’t even like clone pens, but I’m going to talk about the Jinhao 992 because I’ve had a few people ask me about it. 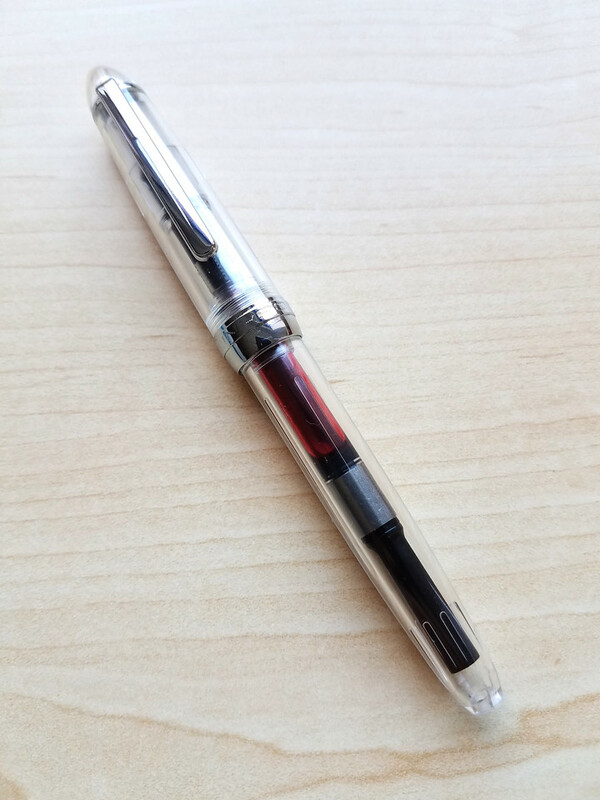 The Jinhao 992 (aka the Jinhao 922) is an inexpensive clone fountain pen currently being made in China. 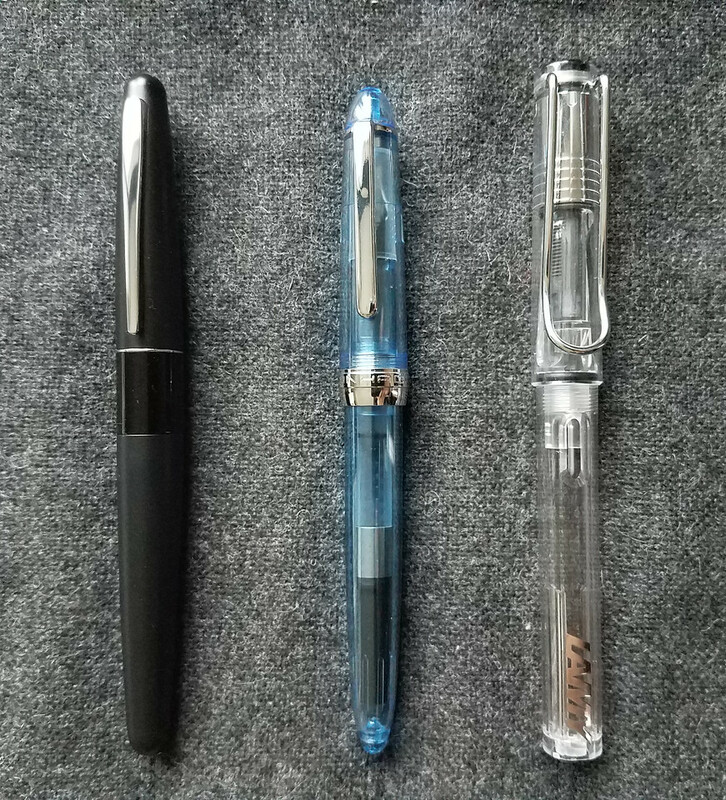 You can find these pens for sale on eBay for $1.79 including shipping to the US, which is ridiculously cheap even by Chinese pen standards. 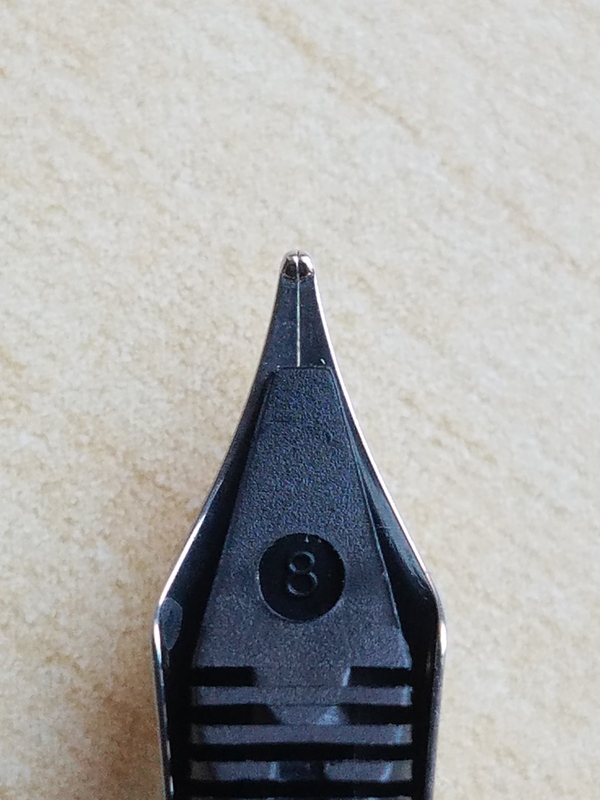 It’s a rather small pen. The 992’s small size and relative lack of metal results in a lightweight pen that fits nicely in my hand. I find this pen to be comfortable posted or unposted, which is rare for me as I prefer the balance of unposted pens. 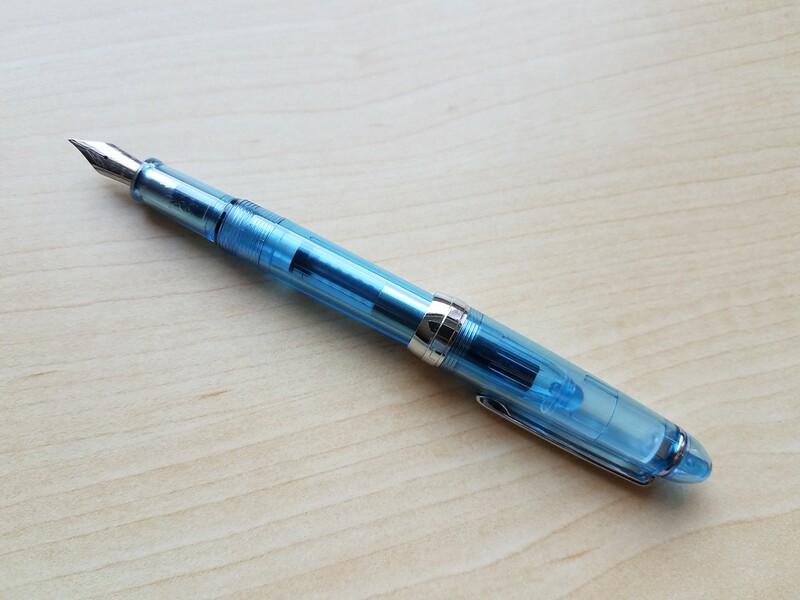 The Jinhao 992 is a nice looking pen, but the design credit really ought to go to Sailor. 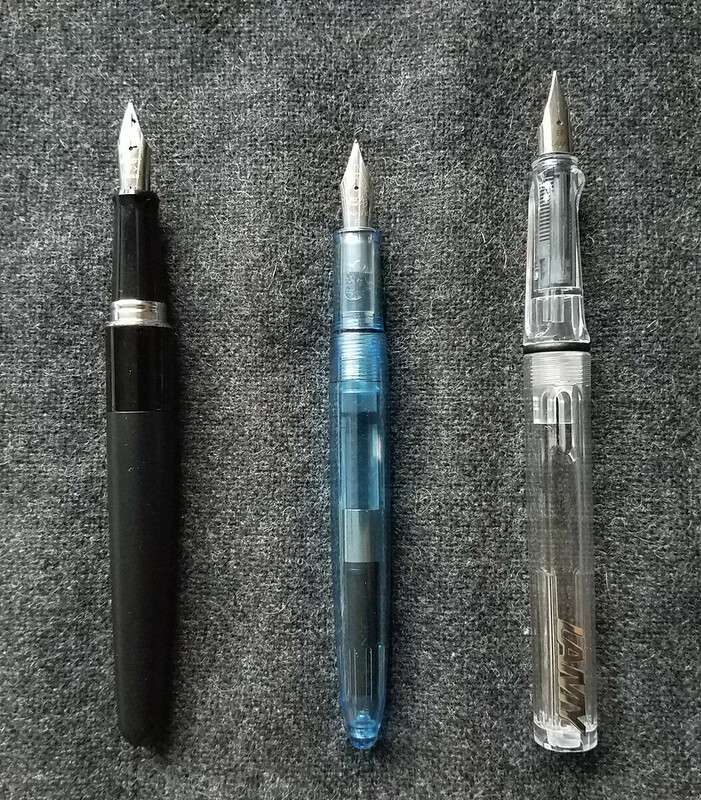 I try to avoid clones as much as possible, but in my ignorance of Sailor pens, I picked up these 992s before I knew they were copies of a Sailor design. Oops. Anyway, 992s are available in demonstrator or solid color form. They have silver-colored fittings on the cap, and a stainless steel nib that comes in one size: fine. The section is round and measures 9mm in diameter, which makes it slightly larger than the Pilot Metropolitan’s section. The step up from the section to the barrel is gradual and the cap threads aren’t sharp. I hold my pens with a standard tripod grip and found the 992’s section to be very comfortable. The screw-on cap takes 1.5 turns to remove, and it features a utilitarian-looking clip that’s surprisingly sturdy. 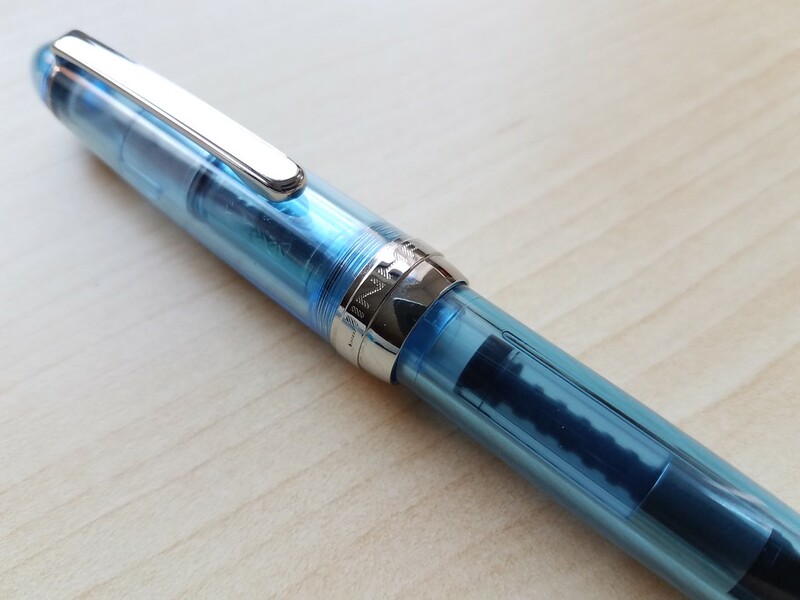 The wide, silver-colored cap band is engraved with Jinhao branding. 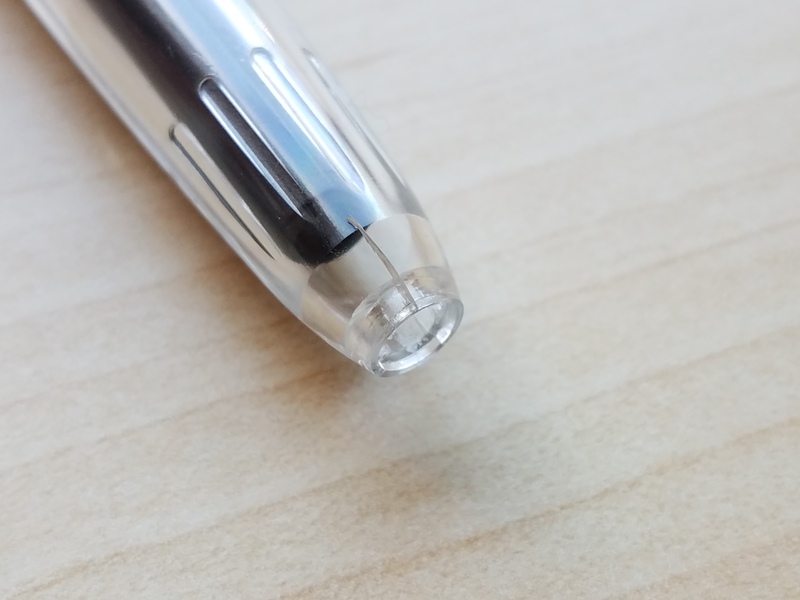 The business end of the pen has a stainless steel nib with ball-shaped tipping. 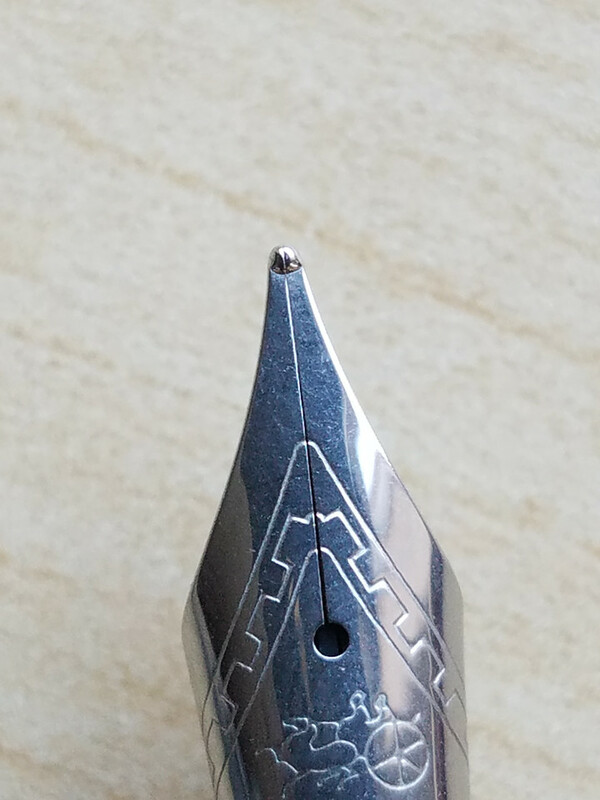 The nib is tastefully engraved with a castellated pattern and the Jinhao chariot logo. It’s a fine that writes like a Western fine. The nibs on both of my Jinhaos were excellent out of the box. They’re smooth nails, though a little on the dry side with certain inks. The 992 comes with an international size converter, but it can easily turn into an eyedropper, as the barrel is completely sealed and the section threads come with an o-ring installed. However, before you eyedropper a 992, you should be aware of this model’s history of cracking. There are reports that more recent 992s don’t have this cracking problem, but I can’t confirm that as fact. 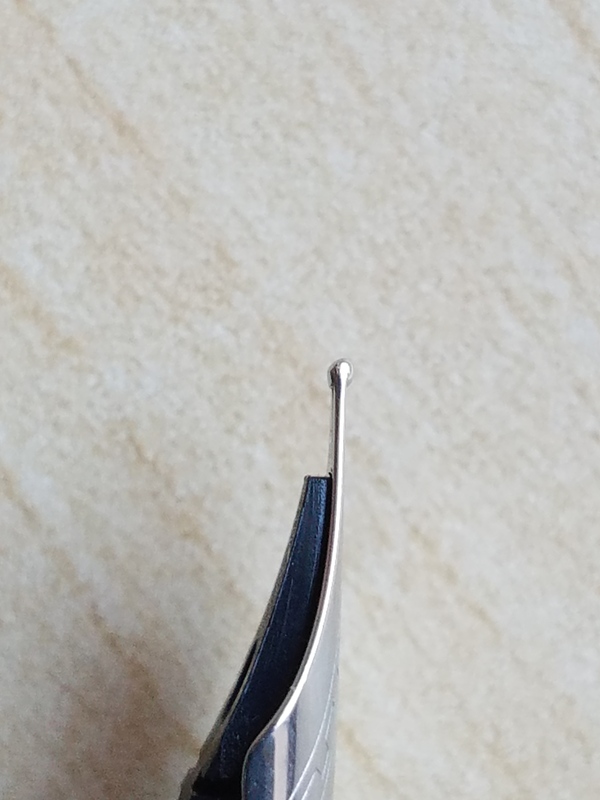 I can only speak to my own personal experience, which is that my blue 992 hasn’t showing any signs of cracking yet, but my clear 992 quickly developed cracks around the plug at the end of the barrel. I removed the plug in an attempt to stabilize the cracks, which seems to be working so far. In the Star Wars universe, clone troopers were meant to be cannon fodder, and the Jinhao 992 is a cannon fodder pen. 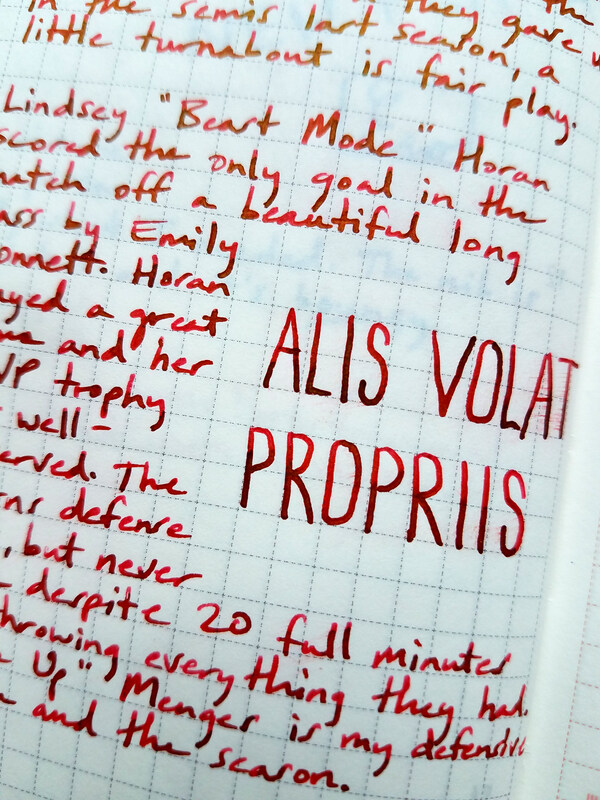 I use mine with temperamental inks like J. Herbin’s Rouge Hematite or Platinum’s new line of iron galls. 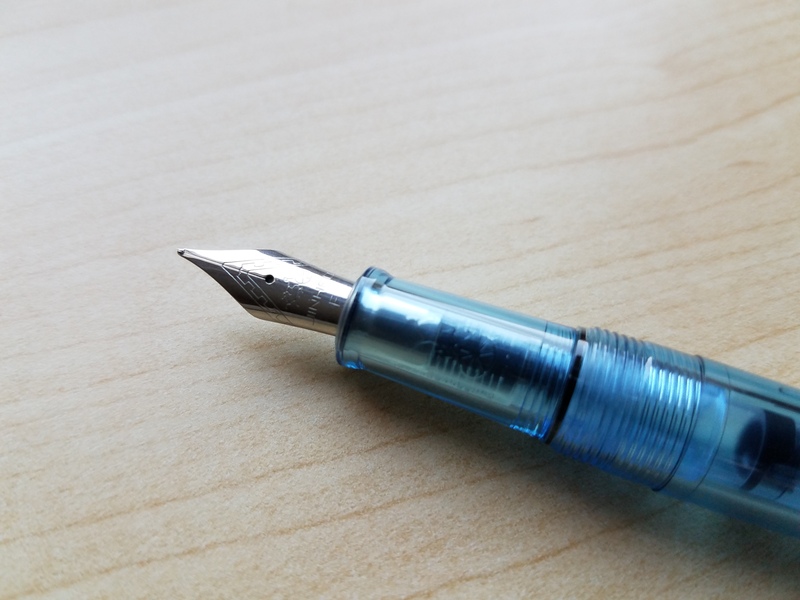 The Jinhao 992 is cheap and easily replaceable, so does it matter if it doesn’t last very long? That’s for you to decide, but for me, I’ve never liked clones much anyway so I won’t be replacing these after they’re gone. I’ll stick with pens on the light side of the Force. This Jinhao 992 was paid for with my own funds. My opinions on this blog are always my own. Please see my review ethics statement for more details. Oh, my bad in remembering this… you are right…the clone troopers was the stormtroopers in the end of the clone wars! I hope the same as you.